We will create a natural dye vat using Cochineal. 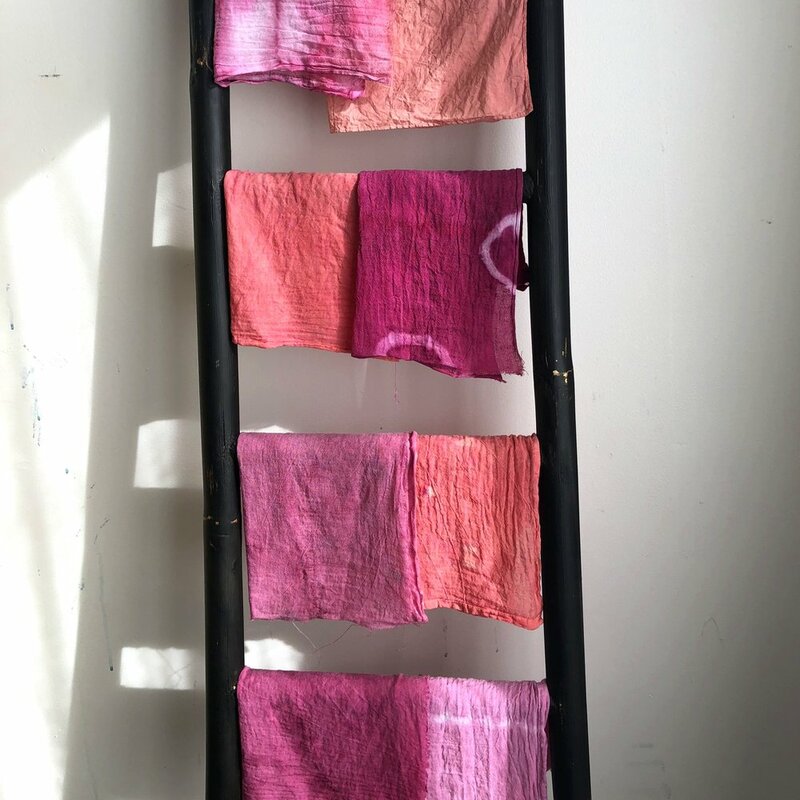 Using natural additives, we will vary our shades and will end up with four distinct pinks to use for dyeing. 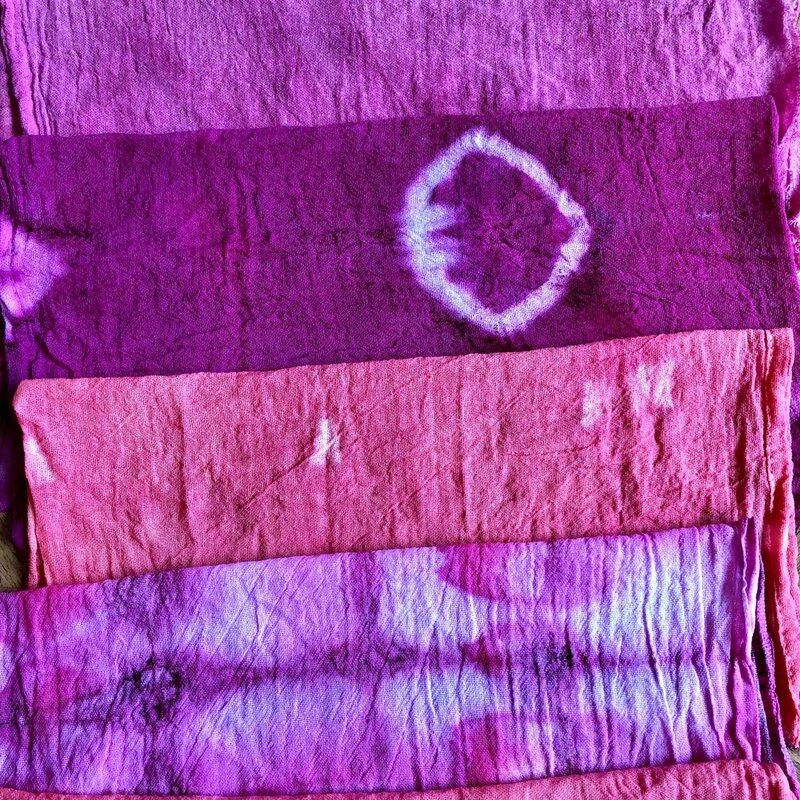 We will use Japanese Shibori techniques to create resists. Four napkins will be provided for each student to dye. Please note: Cochineal is created from bugs so this is not a vegan-friendly activity … we promise the process is not gross at all for anyone who might be squeamish. Christy Bardis Petterson and Shannon Mulkey Green founded the Indie Craft Experience in 2005, a craft and vintage market in Atlanta that has helped launch hundreds of small businesses. They are both Atlanta natives, arts educators, and craft extraordinaires. Christy and Shannon are both Teaching Artists at the High Museum of Art, have been selected to participate in Art on the BeltLine in Atlanta, and have collaborated with Dashboard Co-op. Their award-winning art and craft market has been featured in Creative Loafing, Atlanta Magazine, BuzzFeed, Apartment Therapy, and Design Sponge.